I had an urge to stamp with Signs of Santa again. I'm really drawn to this cute stamp set, even though I don't usually buy the cartoony type sets. I'm not sure why this one has caught my eye. I think that one reason is because the images stamp so clearly and because they are easy to colour in with my Stampin' Blends. Other than that, I guess it's because they are just too cute! You'll notice that the Official Seal of the North Pole and the North Pole signpost appear to be in behind Santa Claus himself. All those are separate stamps from the Signs of Santa set, so how do you achieve that composite look of perspective that looks like a single stamp? You do some masking! After I had stamped Santa, I stamped his image again on a piece of Full Adhesive Post It Note and cut it out, just slightly inside the stamped line. 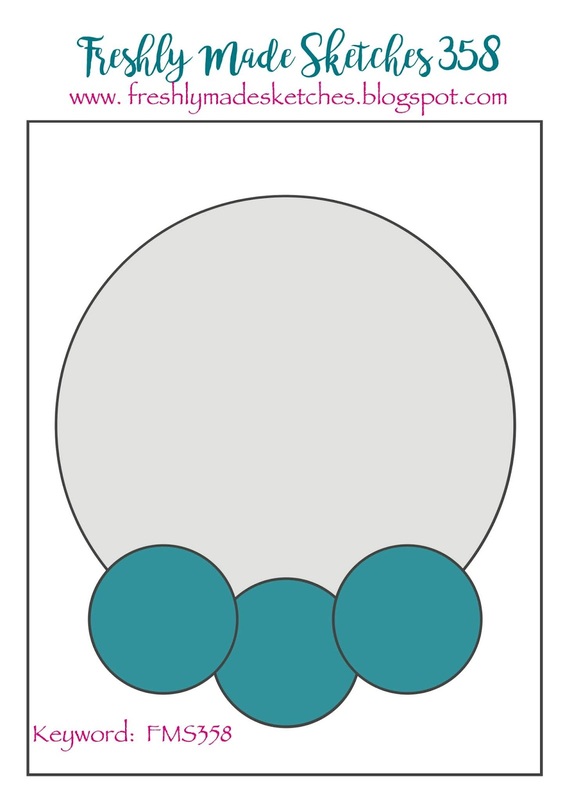 Then I matched this image up with the stamped image on the panel and pressed it in place. I then stamped the images to the right and left and removed the Post It Note. It made it look as though the plane and the North Pole sign were right behind Santa. I stamped all the images in Memento Tuxedo Black ink so I could colour them in with my Stampin' Blends alcohol markers. Note my list of products below to see which ones I used. 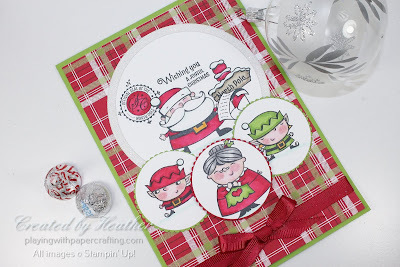 I die cut Santa and his backing with the retired Circles Collection Framelits because I needed a bigger size than the Layering Circles Framelits could provide me. 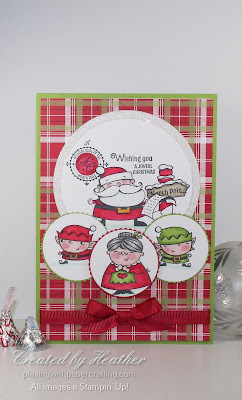 The elves and Mrs. Claus along with their backings were die cut using the Layering Circles Framelit Dies. The background paper is from the Under the Mistletoe Designer Series Paper Collection. The ribbon is the 3/8" Mixed Satin Ribbon. Although it was kind of fun make a larger scale 5 x 7 card, it isn't an efficient use of paper, so I wouldn't do it on a regular basis.